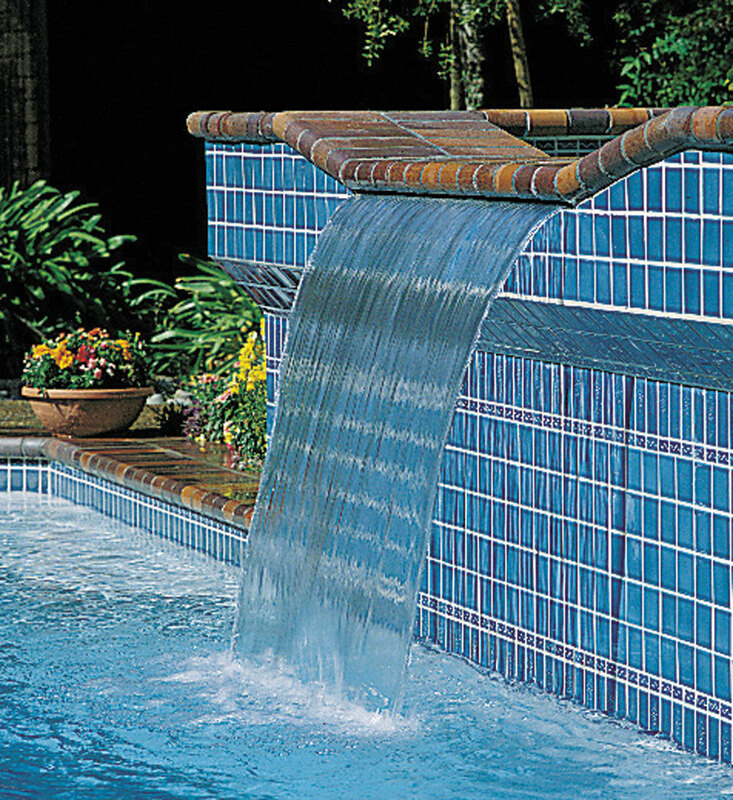 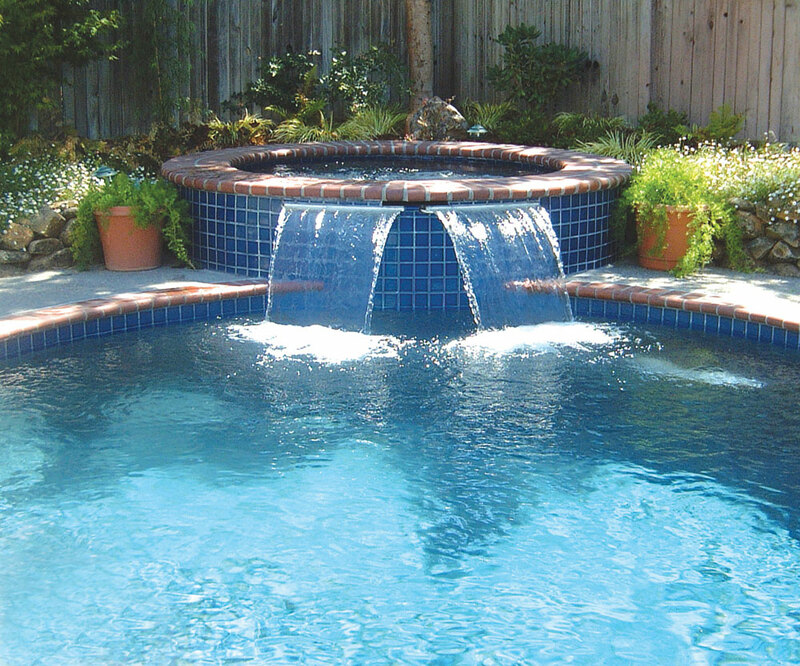 The Sheer Descent Cascade waterfall produces a clear arc of water that has a wide range of water effects that can easily be adjusted to suit any mood or environment. 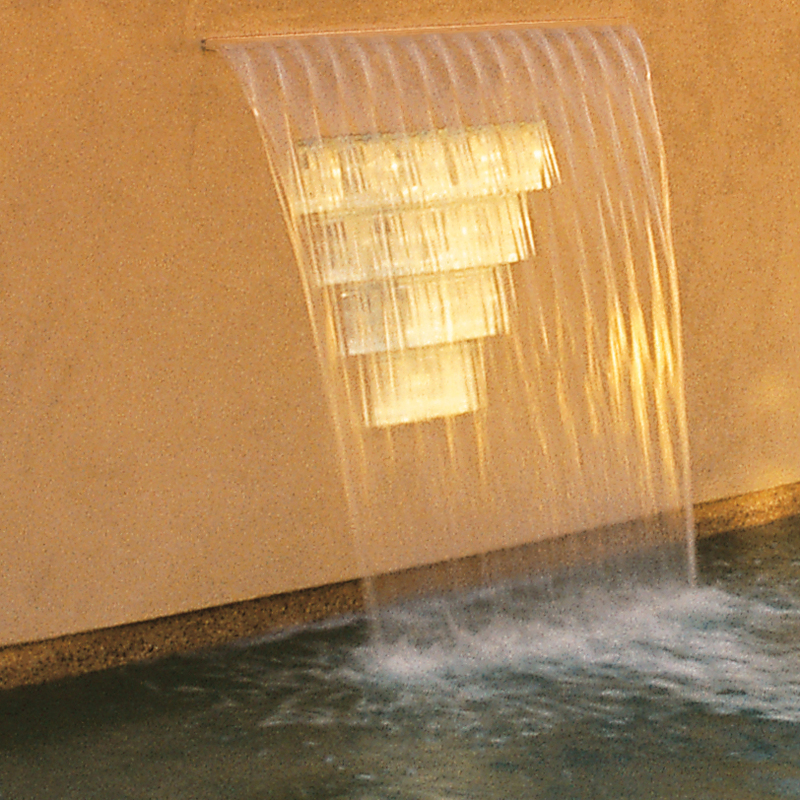 The Sheer Descent waterfall produces a clear arc of water that has a wide range of water effects that can easily be adjusted to suit any mood or environment. 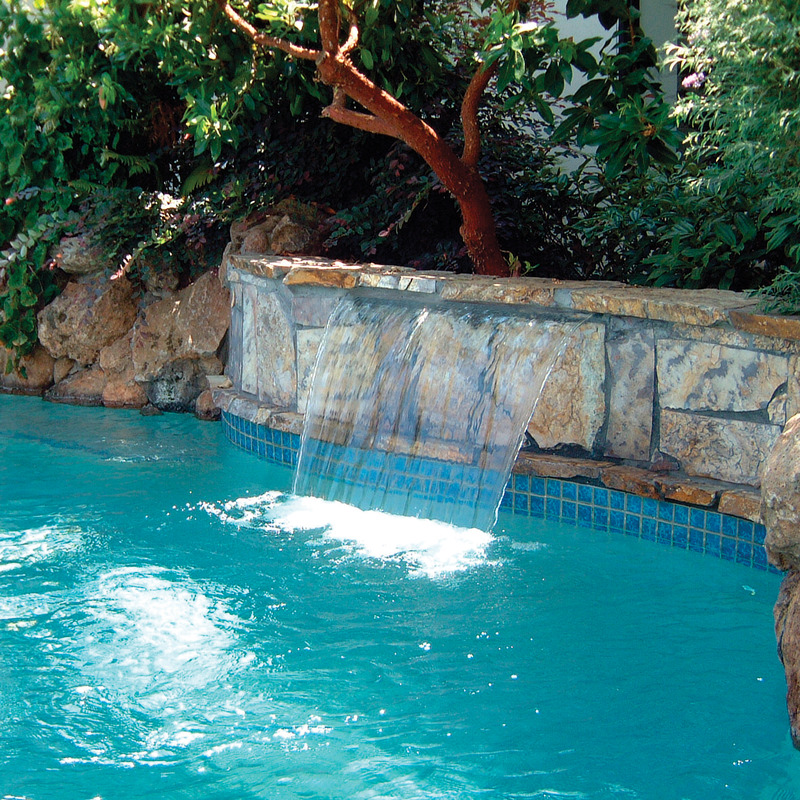 You can choose a silent, a glass-like sheet of water, or a rushing mountain waterfall! 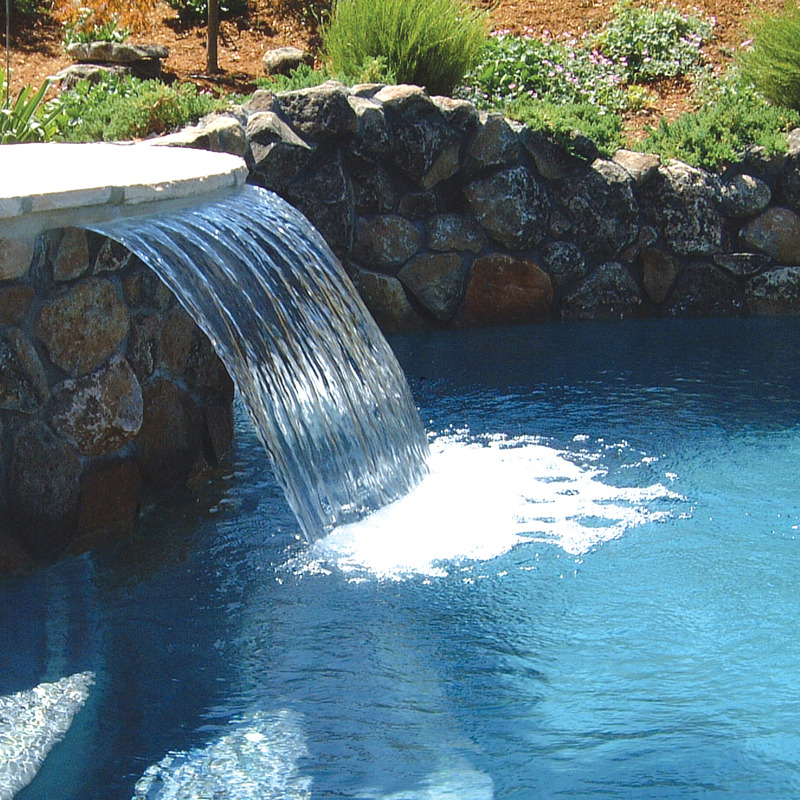 The clear arc of water projects away from the pool wall and is available in lengths from eight inches (8") to eight feet (8').